In the third volume of the trilogy, Seta B. Dadoyan focuses on social and cultural aspects, rather than the core political focus exhibited in her first two volumes. Her objective is to suggest political readings of these themes and related texts by revealing hitherto unstudied and novel interactions in the cities of Asia Minor during the Mongol Period. 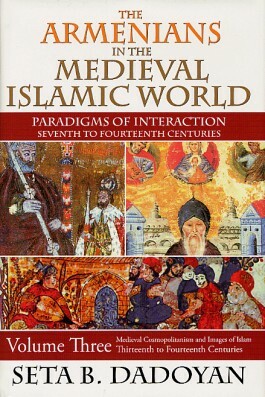 Dadoyan focuses on the Armenian condition and role in the medieval Islamic world. She argues that if the entire region was the habitat of most of the Armenians, their history too is part of these locations and peoples. Dadoyan draws the outlines of a new philosophy of Armenian history based on hitherto obscured patterns of interaction. 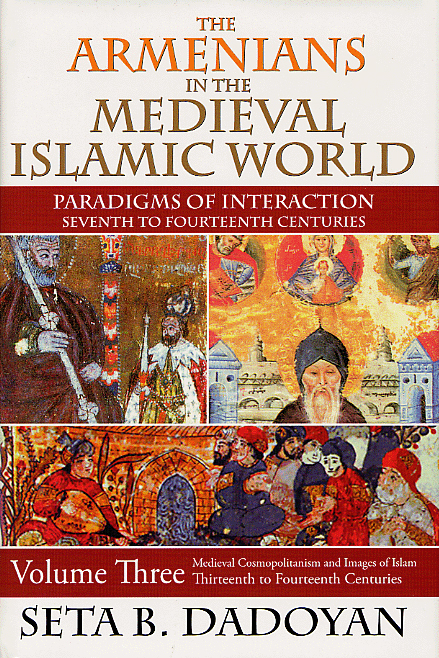 The first three chapters of this volume are dedicated to the images of Prophet Muhammad in Armenian literature. Dadoyan shows that direct interactions and borrowings happened regularly from Islamic sciences, reform projects, poetry, and arts. Dadoyan argues that the cosmopolitan urban environments were radically different from rural areas and close interactions took different and unexpected patterns. In the last part of the volume, she presents the first and only polemical-apologetic Armenian texts addressed to Islam at the end of the fourteenth century. This book is essential for all historians and Middle East scholars and is the latest volume in Transaction’s Armenian Studies series.